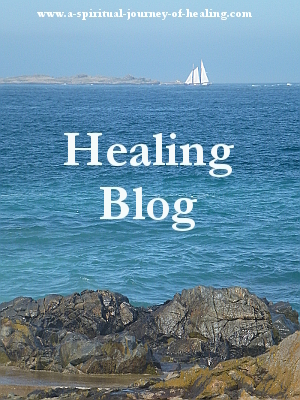 Articles on this Spirituality and Healing Blog are listed below with a link through to the full article. This whole site is about healing and spirituality, so please look around to see what speaks to you. Click here to see what is new on a-spiritual-journey-of-healing.com. Click here for the Spiritual Blog - those articles related more to spirituality and less to healing. Any FREE Teleseminars on Health that I am currently aware of will be listed here. Click here to share your own journey with spirituality and healing or to tell us which healing techniques have helped you. Read what other visitors have said. A visitor asks for prayer for healing from the pain of a cheating husband. A visiting friend reported spiritual healing from tinnitus. His article led to many interesting and heartfelt comments. I have set it up with its own pages on my new site, www.HealingCFSME.com. This website reports on healing therapy as well as at techniques to live well with chronic illness. Click through to read Keith's guided healing meditation. Auto Immune Disorder - Could it be Lyme Disease? Do you have an auto immune disorder such as CFS/ME, Fibro, MS, Lupus? Were you bitten by a tick? Could it be Lyme Disease? The author of Out of the Woods speaks about symptoms, treatment and her healing journey with spirituality and mind body spirit techniques. The FREE world summit is over for this year. But click here to find out: What is the EFT tapping technique? How can this simple and powerful healing technique help you? 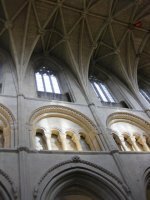 A Christian visitor shares her journey with faith and healing -- the frustrations of continuing illness and the joys of experiencing trust in and the humour of God. It is my pleasure to present a unique article by Dr Henry Grayson who has recently released the book: Use Your Body To Heal Your Mind - Revolutionary Methods to Release All Barriers to Health, Healing and Happiness. I heard Dr Grayson give a teleseminar and was impressed with his years of experience, his knowledge, his gentleness and his humour. Click to read about some of the limiting beliefs that pose barriers to healing. I wanted to share this fantastic article about a woman who explores poetry and healing after discovering she has advanced kidney failure. Poetry and healing are both subjects I feel passionate about. The article is beautifully written - poetic in itself. And if you have ever wanted a list of poets to explore in a time of healing, then this provides it. Go here to see the article on poetryfoundation.org by Jennifer Nix. On a-spiritual-journey-of-healing, I interview Mal Duane, the author of the book, Alpha Chick - five steps for moving from pain to power. The journey out of addiction made by one amazing woman through spirituality and self love, and how we can learn to do the same. How can family roles from family systems therapy help us to cope with illness and cope with other people's reactions? Interview with a holistic healer on Treatment For Chronic Fatigue Syndrome. These articles are on healing techniques where spirituality is not required. They have nonetheless felt like answers to prayer in my journey of spirituality and healing. Or they have played a part in aligning my thoughts to allow myself to receive God's love and healing. What is neurolinguistic programming? How does it help you change your life. A significant trigger in my healing from bedbound to walking. Learning to talk to myself with love has been essential for healing and quality of life within illness. Written at the end of 2010 to tell you a little about my year. I wanted to wish a very Happy New Year to you all. If you have been a regular visitor to a-spiritual-journey-of-healing.com, thank you. If this is your first time, thank you also. 2010 has been a good year for me. I brought out my book – It’s OK to Believe. I moved forward with reading my poems publicly and gave a couple of talks. I set up this website – my goodness, that was a steep learning curve at first, but in the last few weeks something has clicked and it has all become much easier. And I have, of course, continued the spiritual journey. This year, I have read A Course In Miracles each day in my God time, and in particular the Text. Church continues to be a beautiful place for me to celebrate and meet with Spirit. There were health challenges for me in 2010. It was a time of remembering just how difficult it is to live with illness; a time of making sure to ask for guidance. Healing came through an unexpected source and I end the year feeling strong again. 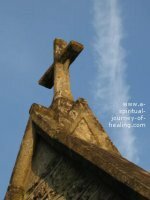 You tell me that it is good to hear what I am now able to do, and I hope this list in the spirituality and healing blog provides you with hope for the future. But I know too that it may bring home the situation you are in right now. I very often think of those of you living with chronic illness and hold a place for your healing and for the healing of all those who visit this site. I ask you to pause a moment and join your mind with mine for the health that belongs to us all. May this year be, for you, a year of unexpected growth and delicious blessings. May you have an increasing sense of guidance and an increasing sense of trust that, even in the darker moments, you are being led through to the Light. May you grow in knowledge of your Beauty and your Innocence.